These attractive small tin buckets are available in a nine colors and styles. They are the perfect size to hold pens, pencils, and other small office supplies. Use the Vintage Chalkboard style and add a creative label. With the optional plastic liner, these buckets make beautiful indoor and outdoor planters for small plants and starting seeds. 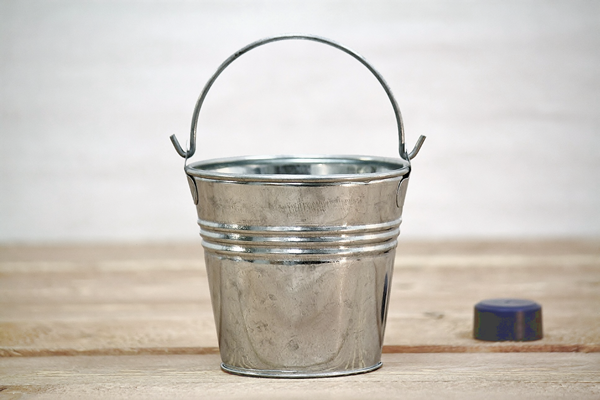 See our complete line of small metal buckets here. These really make organizing an office easy!